Sami al-Oraidi was the Nusra Front’s main sharia authority Hassan Abu Haniyeh, “Who’s who in the Nusra Front,” Al-Araby, December 15, 2014, http://www.alaraby.co.uk/english/politics/1993dc89-9ba6-47c1-b168-21e1fea50307. and reportedly served as the group’s second-in-command “Syria Al-Qaeda affiliate says will free UN troops,” Philippine Daily Inquirer, September 11, 2014, http://globalnation.inquirer.net/110949/syria-al-qaeda-affiliate-says-will-free-un-troops/. before he resigned from the Nusra Front in 2017 after the group announced that it would cut ties with al-Qaeda.Aymenn Jawad al-Tamimi, “Success for al-Qaeda in Syria?” Middle East Forum, December 18, 2017, https://www.meforum.org/articles/2017/success-for-alqaeda-in-syria. He was previously the group’s second highest sharia authority under former religious leader and military commander Abu Mariya al-Qahtani. Al-Oraidi was promoted over al-Qahtani after ISIS overran Nusra Front positions in eastern Syria in 2014. Hassan Abu Haniyeh, “Who’s who in the Nusra Front,” Al-Araby, December 15, 2014, http://www.alaraby.co.uk/english/politics/1993dc89-9ba6-47c1-b168-21e1fea50307. Al-Oraidi has a bachelor’s degree in religious studies and a doctorate in Hadith (Islamic prophetic traditions) studies from Jordan University.Hassan Abu Haniyeh, “Who’s who in the Nusra Front,”Al-Araby, December 15, 2014, http://www.alaraby.co.uk/english/politics/1993dc89-9ba6-47c1-b168-21e1fea50307. Al-Oraidi has used social media to release sermons and declarations on behalf of the Nusra Front. He maintains a Twitter account under the handle @sami_oride and reportedly tweeted that the “ideal” jihadist is a moral individual watched by God and the public. 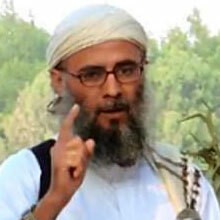 “Nusra’s Sharia Cleric, Al-‘Oraidi: Who is he? And what is his response to the (IF/Sham Legion/etc) Revolutionary Code of Honor?” Tahrir Souri, May 19, 2014, http://tahrirsouri.net/2014/05/19/nusras-sharia-cleric-al-oraidi-who-is-he-and-what-is-his-response-to-the-ifsham-legionetc-revolutionary-code-of-honor/. Al-Oraidi has also used social media to attack ISIS, particularly after the group declared its caliphate in June 2014. Rita Katz, “The ‘Comical Caliphate,’” INSITE Blog on Terrorism & Extremism, July 1, 2014, http://news.siteintelgroup.com/blog/index.php/entry/196-the-comical-caliphate. Al-Oraidi said ISIS spokesman Abu Muhammad al-Adnani “does not know what comes out of his head.” Rita Katz, “The ‘Comical Caliphate,’” INSITE Blog on Terrorism & Extremism, July 1, 2014, http://news.siteintelgroup.com/blog/index.php/entry/196-the-comical-caliphate. He also referred to ISIS’s leaders as “Muslim killers.” Rita Katz, “The ‘Comical Caliphate,’” INSITE Blog on Terrorism & Extremism, July 1, 2014, http://news.siteintelgroup.com/blog/index.php/entry/196-the-comical-caliphate. He declared war on ISIS in a December 2014 sermon posted to YouTube. “الشيخ الدكتور سامي العريدي المسؤل العام لجبهة النصرة يحرض على قتال الخوارج داعش,” YouTube video, posted by الصوارم على الخوارج صليل, December 27, 2014, https://www.youtube.com/watch?v=aIrnl_Rhsgg. Al-Oraidi and the Nusra Front are influenced by the teachings of Syrian jihadist Abu Musab al-Suri. Hassan Hassan, “A Jihadist Blueprint for Hearts and Minds Is Gaining Traction in Syria,” National [UAE], March 4, 2014, http://www.thenational.ae/thenationalconversation/comment/a-jihadist-blueprint-for-hearts-and-minds-is-gaining-traction-in-syria. Al-Suri fought against the Syrian regime in the 1970s and ’80s. He became a media liaison between Western journalists and Osama bin Laden before the 9/11 attacks. David Samuels, “The New Mastermind of Jihad,” Wall Street Journal, April 6, 2012, http://www.wsj.com/articles/SB10001424052702303299604577323750859163544. He believes Muslims should take on individual jihad that isn’t tied to any one group. David Samuels, “The New Mastermind of Jihad,” Wall Street Journal, April 6, 2012, http://www.wsj.com/articles/SB10001424052702303299604577323750859163544. The CIA captured him in 2005 and turned him over to Syrian authorities. Syrian President Bashar al-Assad released him in December 2011. David Samuels, “The New Mastermind of Jihad,” Wall Street Journal, April 6, 2012, http://www.wsj.com/articles/SB10001424052702303299604577323750859163544. The Wall Street Journal dubbed him “the new mastermind of jihad.” David Samuels, “The New Mastermind of Jihad,” Wall Street Journal, April 6, 2012, http://www.wsj.com/articles/SB10001424052702303299604577323750859163544. Al-Oraidi posted on Twitter that the Nusra Front has derived 19 recommendations from al-Suri’s teachings based on a strategy of winning the hearts and minds of the people.Hassan Hassan, “A Jihadist Blueprint for Hearts and Minds Is Gaining Traction in Syria,” National [UAE], March 4, 2014, http://www.thenational.ae/thenationalconversation/comment/a-jihadist-blueprint-for-hearts-and-minds-is-gaining-traction-in-syria. The strategies are built around providing social services, maintaining communal relationships, avoiding an extremist label, and maintaining a focus on fighting the Syrian regime.Hassan Hassan, “A Jihadist Blueprint for Hearts and Minds Is Gaining Traction in Syria,” National [UAE], March 4, 2014, http://www.thenational.ae/thenationalconversation/comment/a-jihadist-blueprint-for-hearts-and-minds-is-gaining-traction-in-syria. Sami Al-Oride“Nusra’s Sharia Cleric, Al-‘Oraidi: Who is he? And what is his response to the (IF/Sham Legion/etc) Revolutionary Code of Honor?” Tahrir Souri, May 19, 2014, http://tahrirsouri.net/2014/05/19/nusras-sharia-cleric-al-oraidi-who-is-he-and-what-is-his-response-to-the-ifsham-legionetc-revolutionary-code-of-honor/. Sami al-Oraidi was the Nusra Front’s main sharia authority and reportedly served as the group’s second-in-command before he resigned from the Nusra Front in 2017 after the group announced that it would cut ties with al-Qaeda. ISIS spokesman Abu Muhammad “Al-‘Adnani does not know what comes out of his head.” (Tweet) “Rita Katz, “The ‘Comical Caliphate,’” INSITE Blog on Terrorism & Extremism, July 1, 2014, http://news.siteintelgroup.com/blog/index.php/entry/196-the-comical-caliphate. “As for those who want a secular state, they are a minority, and we kindly ask for them to return to their senses, and be wary of what has happened in Egypt, Tunisia, and Libya.” “Nusra’s Sharia Cleric, Al-‘Oraidi: Who is he? And what is his response to the (IF/Sham Legion/etc) Revolutionary Code of Honor?” Tahrir Souri, May 19, 2014, http://tahrirsouri.net/2014/05/19/nusras-sharia-cleric-al-oraidi-who-is-he-and-what-is-his-response-to-the-ifsham-legionetc-revolutionary-code-of-honor/. “Life in mountains and caves under Sharia, is better than a life in palaces under else.” “Nusra’s Sharia Cleric, Al-‘Oraidi: Who is he? And what is his response to the (IF/Sham Legion/etc) Revolutionary Code of Honor?” Tahrir Souri, May 19, 2014, http://tahrirsouri.net/2014/05/19/nusras-sharia-cleric-al-oraidi-who-is-he-and-what-is-his-response-to-the-ifsham-legionetc-revolutionary-code-of-honor/. “He who is too embarrassed, in writing or in speech, to admit to wanting Sharia is in no state to effectively govern such a state.” “Nusra’s Sharia Cleric, Al-‘Oraidi: Who is he? And what is his response to the (IF/Sham Legion/etc) Revolutionary Code of Honor?” Tahrir Souri, May 19, 2014, http://tahrirsouri.net/2014/05/19/nusras-sharia-cleric-al-oraidi-who-is-he-and-what-is-his-response-to-the-ifsham-legionetc-revolutionary-code-of-honor/. “God willing, we will not concede Sharia. It is either Sharia or martyrdom.” “Nusra’s Sharia Cleric, Al-‘Oraidi: Who is he? And what is his response to the (IF/Sham Legion/etc) Revolutionary Code of Honor?” Tahrir Souri, May 19, 2014, http://tahrirsouri.net/2014/05/19/nusras-sharia-cleric-al-oraidi-who-is-he-and-what-is-his-response-to-the-ifsham-legionetc-revolutionary-code-of-honor. “We say only say as Sheikh Al-Joulani said ‘People of the Levant, our lives for you, will be sacrificed.’” “Nusra’s Sharia Cleric, Al-‘Oraidi: Who is he? And what is his response to the (IF/Sham Legion/etc) Revolutionary Code of Honor?” Tahrir Souri, May 19, 2014, http://tahrirsouri.net/2014/05/19/nusras-sharia-cleric-al-oraidi-who-is-he-and-what-is-his-response-to-the-ifsham-legionetc-revolutionary-code-of-honor/.